Hilton Head High defeated Colleton County on Thursday. 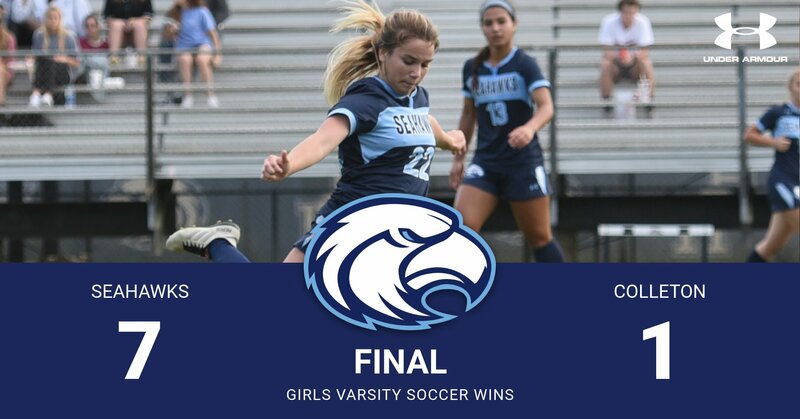 The Seahawks prevailed 7-1 and remained undefeated in region play. Five different players scored for Hilton Head. Maddie Bennett had two assists, both to Caitlyn Owen who had two goals, Hannah Stanhope added another two. Sara Neville, Val Palacio and Payton Kurtz each tallied one. The Seahawks host Glynn Academy from Georgia on Friday at 5:30.